A deeply relaxing personalised sound massage session. Allow yourself to become enveloped in deeply relaxing sounds and vibrations. Sound healing tools will be used on and around the body. Tune in to the sacred sounds of the gong, quartz crystal singing bowl, therapeutic brass singing bowls & tuning forks. Open yourself up to the experience of glorious tingling sensations, energy shifts and blissful states of relaxation! This complete immersion in sound and vibration will take you to a blissful state of harmony and peace. Reset the natural vibration of the body, let go of stress, improve the flow of energy in the body, release physical or emotional pain, and connect with the energetic realm of sound & vibration – the realm of creation! One client described the experience as like being injected with prana or life force. The perfect way to let go of stress, improve sleep, experience pain relief and release tension at the physical, mental and emotional level. Private sessions available for individuals, 2 people or small groups. Book your session option below. Sound Massage instruments used on and around the body. 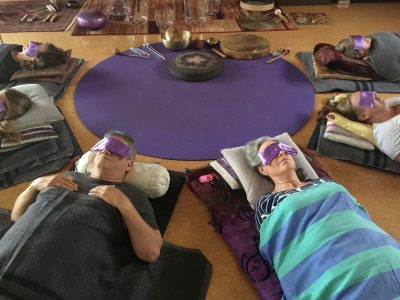 The floor mattress position is perfect for a shamanic drum and gong massage and also allows singing bowls to be placed on the floor around the body and played. 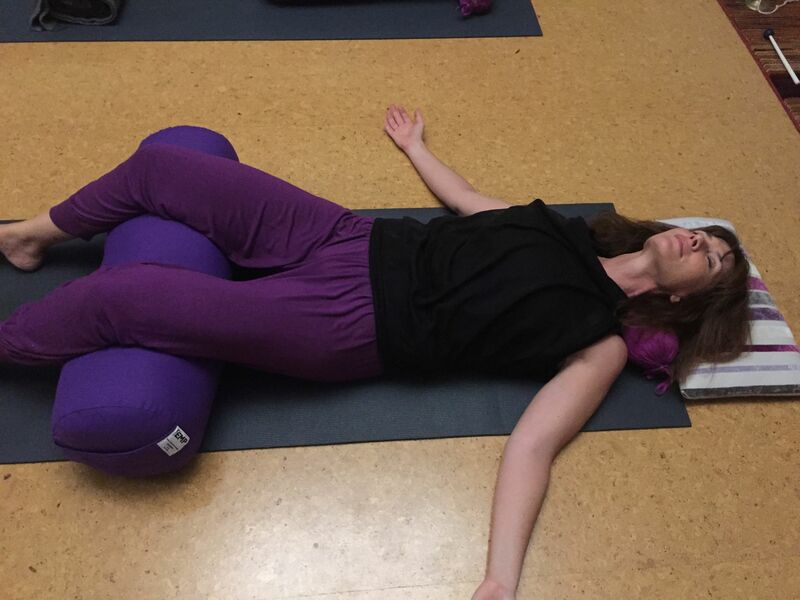 The Massage table enables the client to be in the face down position for part of the massage. This gives a few more options for sound massage including playing the large Brass therapeutic singing bowl and tuning forks on the back. Lie comfortably on one of our floor mattresses. 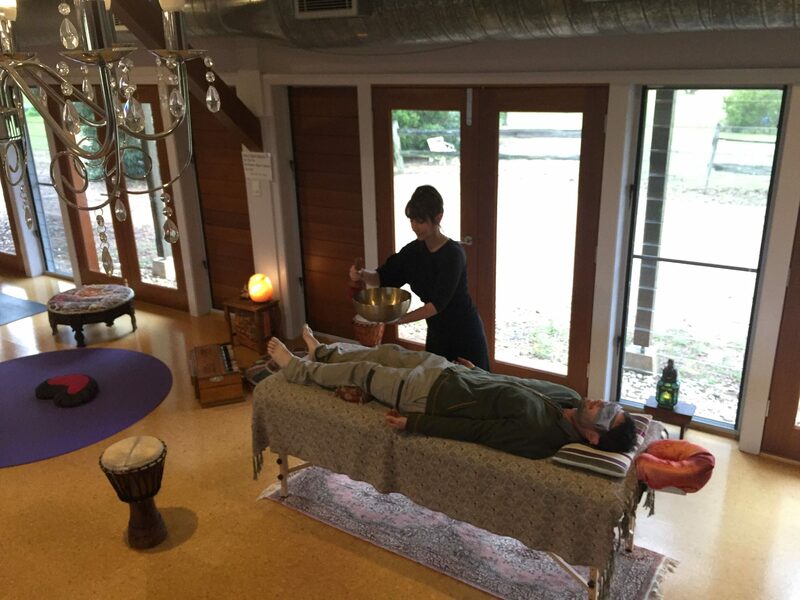 The floor position gives the option of placing bowls on the floor around the body for a complete sound bath. Lie comfortably on one of our floor mattresses. 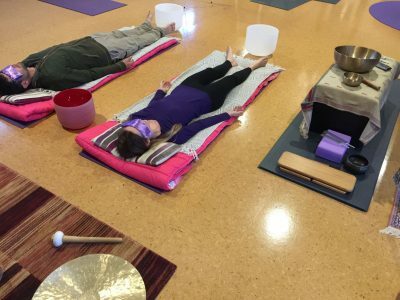 The floor position gives the option of placing bowls near the head for a tingly sound bath.